Bob Hoskins, perhaps best known as detective Eddie Valiant in “Who Framed Roger Rabbit,” has died at age 71. Eddie was the live action comic foil to the animated Roger. He grudgingly helped the bunny clear his name when he was framed for murder. Along the way, he revealed that a toon killed his brother…. 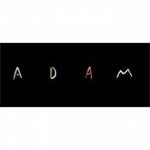 Academy Award nominee “Adam and Dog” is now fully represented online. If you are interested in seeing the full 15 minute short, you now can because director Minkyu Lee has posted the full version to the Internets. “Bydlo,” an animation directed by Patrick Bouchard for the National Film Board of Canada, was named Tuesday evening as one of Canada’s top short films of 2012. The 12th annual Canada’s Top Ten list was announced at a Toronto gala organized by the Toronto International Film Festival Group. Actors Sarah Gadon and Don McKellar were the hosts. 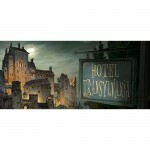 Sony Animation”s “Hotel Transylvania” opened for business in a host of countries this past weekend, helping it make $18.1 million in its fourth week of foreign release. The American Federation of Musicians sued 20th Century Fox and NBC Universal last week, objecting to the use of the recorded music soundtrack from The Simpsons in a series-based roller coaster attraction at Universal Studios Theme Park in Hollywood. Jeanette Armentrout Thomas, the widow of legendary Disney animator Frank Thomas (one of Walt Disney’s renowned “Nine Old Men”), died Saturday at Huntington Hospital in Pasadena, California from age-related illnesses. She was 91. DreamWorks Animation has announced they have promoted Lincoln Wallen as their new CTO, replacing current CTO Ed Leonard. DreamWorks Animation has juts released Madagascar 3: Europe’s Most Wanted, and is releasing the highly anticipated Rise Of The Guardians next month. In a major strange bedfellows pairing, DreamWorks Animation and Technicolor announce a joint venture in a content distribution deal. Their new company- called M-Go- will be pushing out content digitally. But not just DWA’s content… the agreement announced Tuesday are with NBCUniversal, Paramount Pictures, Sony Pictures Home Entertainment, Twentieth Century Fox and Warner Bros. Digital Distribution. On Friday, September 21 at the Alex Theatre in Glendale, California, the Chuck Jones Centennial Celebration Film Festival will be an evening devoted to honoring the artist who brought to life such famous cartoon characters as Wile E. Coyote, Road Runner, Pepé le Pew, Marvin Martian and Marc Anthony. Longtime friends Stephen Fry and Hugh Laurie are reuniting for an animated film to be released on Christmas Day 2014.